I started this blog only 2 months ago, in July before school, and have definitely loved the blogging experience so far. 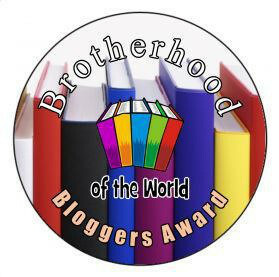 I have met some awesome bloggers throughout my hiatus while I looking at some other amazing blogs, one which I have to thank in another awards post. Anyway, the blogging community has definitely welcome me with open arms and I have enjoyed every minute of it. Answer the questions set to you. What prompted you to start blogging and how long have you been doing it? I started this blog about two months ago because I wanted to share my tips for school on a large digital platform. Also, I wanted to document parts of my high school experience for others who may go through similar things and most importantly practice and be exposed to various writing styles in order to become a better writer. I already had experience designing blogs for my teachers, since I am very tech savvy and really good at custom designs (not to brag), and was really excited to start blogging. Do you play music or prefer silence when writing? Either way, I’m actually fine. Although, I type better in silence or with K-POP/Inspirational Music, I usually write surrounded by noise from my 2 little sisters. However, if I was to decide, it would be with music. LIFE. I find inspiration in almost anything around me – people, family, pins on Pinterest, music, history, quotes, etc. I have no specific pin point on what inspires me, but my main drive is to get better and to keep learning. What makes you want to follow someone’s website? A good post that hooks me. That’s all I need to click the “Follow” button. What did you want to do when you grew up and what are you doing now? Since I was kid I have gone through various stages of dream jobs but for now, I really have my sights on being Corporate Lawyer, because I LOVE LOVE LOVE debating. My current occupation is being a student, big sister and to become a better person as I mature. What are your top three favorite things about blogging? What is one major piece of advice you would give to someone who wants to start blogging? When did you realize you wanted to start blogging? Who is one blogger you would love to meet in real life? Okay, well I’m BACK (for now) and am very excited from upcoming posts (Owaysis – I’m still writing your nomination post) and want to thank all of you guys for reading my blog, because I have recently reached 1200+ views! You guys are all people of inspiration for me and total goals! Awh thanks for the nomination! I’ll definitely be doing this! YAY! Thank you for accepting and I love reading your blog. Can’t wait for your response. Awesome!! And congrats on 1200+ views! Thank you and thanks for the nomination. You are very welcome!! Have a great weekend!